Selling Your Home In The Lewis-Clark Valley? Home sellers facing a home sale in the Lewis-Clark Valley should contact the Windermere All Star Realty Group. 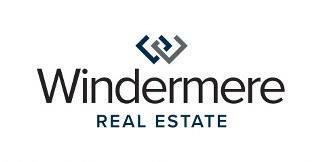 The agents at Windermere All Star Realty are expert in The Lewiston area home market. The expert local agents will be able to guide home sellers through the entire process from listing to sale. As trusted Idaho area real estate professionals, The Windermere All Star Realty Group takes on the tough task of making the selling process as easy as possible for all individuals involved. For The Windermere All Star Realty, the goal is simple: sell homes for the highest marketable price in the least amount of time. To complete this task, The Windermere All Star Realty Group believes that it is critical to garner as much exposure as possible targeting potential home buyers in the area. For The Windermere All Star Realty Group, this means that in addition to marketing properties to the public, that they also market to agents within the area as well. The Windermere All Star Realty Group understands the importance in designing a listing to stand out against the competition. The all-star team designs marketing plans that will give listings the edge on other area listings and ensure that a property is able to receive the maximum marketing expertise. An important component to every sell is the list price. A competitively priced property will be able to stand out against the competition and sell a home more quickly. The Windermere All Star Realty Team understands the local market and uses the most up-to-date data available to analyze each property. The key to understanding a home's market value is by analyzing comparable homes and the recent home sales in the area. An expert-eye can parse the data and discover the true market value of a property. As real estate professionals, The Windermere All Star Realty Group has the accumulated experience of a collection all star agents. The agents at The Windermere All Star Realty Group have expertise in listing, marketing and selling a large amount of homes within The Lewis-Clark Valley. Beyond that, the team understands what area buyers are looking for and how any property may measure up. The team's expertise and area knowledge prove an invaluable asset to sellers who want results. Home sellers in The Lewis-Clark Valley should contact The Windermere All Star Realty Team today. The Windermere All Star Realty has the knowledge and experience that will help you in your next move. For more information on how you can make the most of your next move, contact Windermere All Star Realty today.